Children are naturally drawn to play in all of its forms. Play is freedom, creativity and individuality. Play can be quiet and intentional, or wild and loud; it can be enjoyed by an individual, a small cluster or a large group. Most of all, it is the preferred state for all children – if we let them be. And when we do, great things can happen. Supporting this instinct to play in risky ways certainly does not mean removing all boundaries or cares and passing them the toolbox. It simply means finding ways to allow children to have unstructured fun that generates an emotional thrill. Get outside. Step back and simply observe. Allow your child to feel that they have the control, and quietly be there if they truly need your support. Let your child feel that they are in charge of figuring out what risk feels right to them. Attitudes toward play, however, are like a pendulum swinging to and fro. Not too many decades ago, children were often left to their own devices for hours at a time: roaming back gardens and neighbourhoods, climbing trees, digging holes, making forts. Then the pendulum swung the other way and parents became hyper-involved, managing every element of children’s playtime as if they were not able to do it themselves. Through scheduling, hand-holding, sanitizing, and warning of danger, the motivation seemed to be that this management would keep children safer, and in doing so make them happier. But was the child’s genuine happiness and development being considered? Fortunately, the pendulum has begun to swing the other way and we are hearing much more talk about “Risky Play”. But what does this mean? Where is this coming from? Let’s investigate. Research has shown that depriving mammals of this kind of play emotionally cripples them, so that when placed in a new environment they are overwhelmed with fear and fail to adapt and explore. This supports the theory that one of play’s major functions is to regulate both fear and anger; it helps children realize what they can manage and then overcome it, not give in to it. So when we consider the dramatic decline over the past few decades in children’s free, risky play, alongside the dramatic increase in childhood mental and emotional disorders such as anxiety and depression, it does seem that play has a central importance for children. After all, notes Peter Gray, “Children are designed by nature to teach themselves emotional resilience by playing in risky, emotion-inducing ways.” They will play up to their own limits, and learn the result when they go beyond them. But when parents manage all the risks, children’s natural development and natural coping strategies are taken away from them. 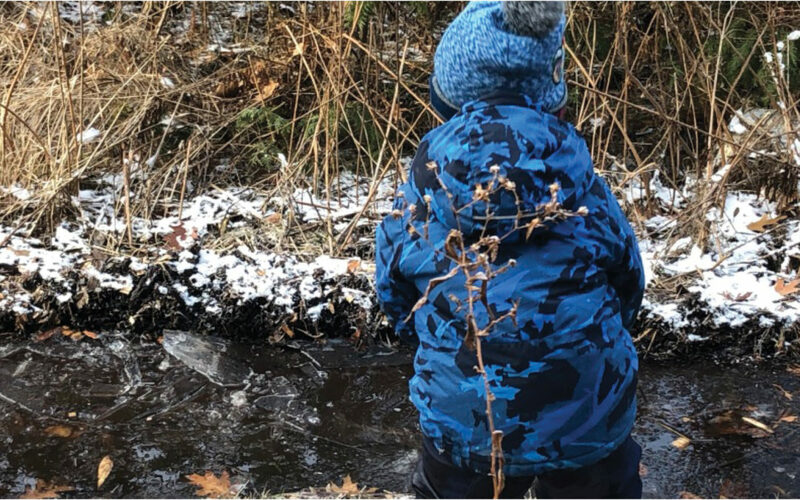 If we are to give true weight to our belief in Reggio that children are intelligent, resourceful and powerful, then we must allow them to do what is the most natural thing: play. And play in ways that are natural to them. We must let go of our own fears in order to allow children the freedom to confront theirs. With that freedom we have the ability to give them the gift of resilience, confidence, and most of all fun.